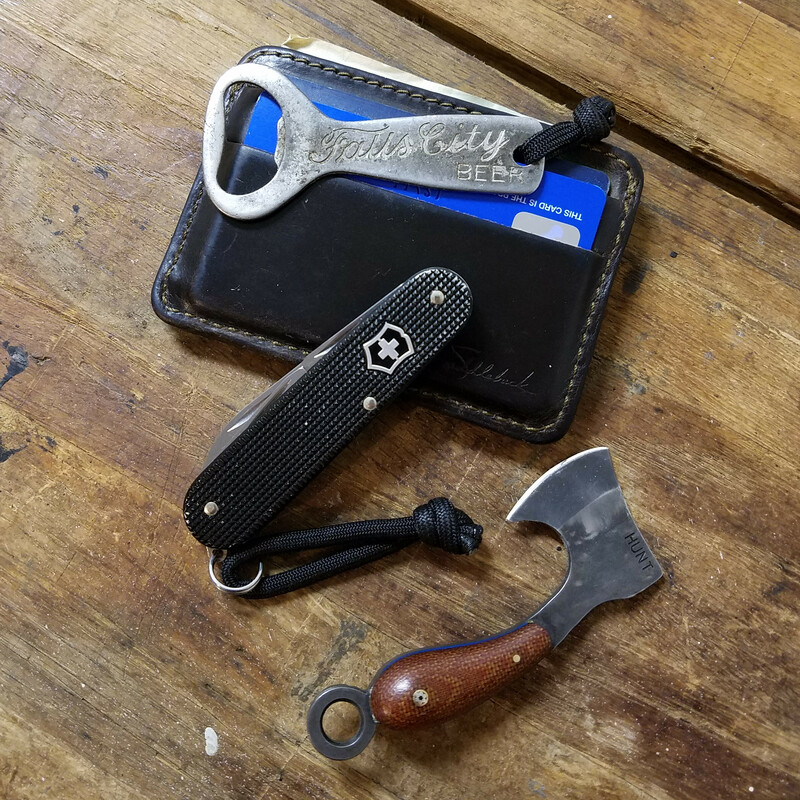 EDC T.M. 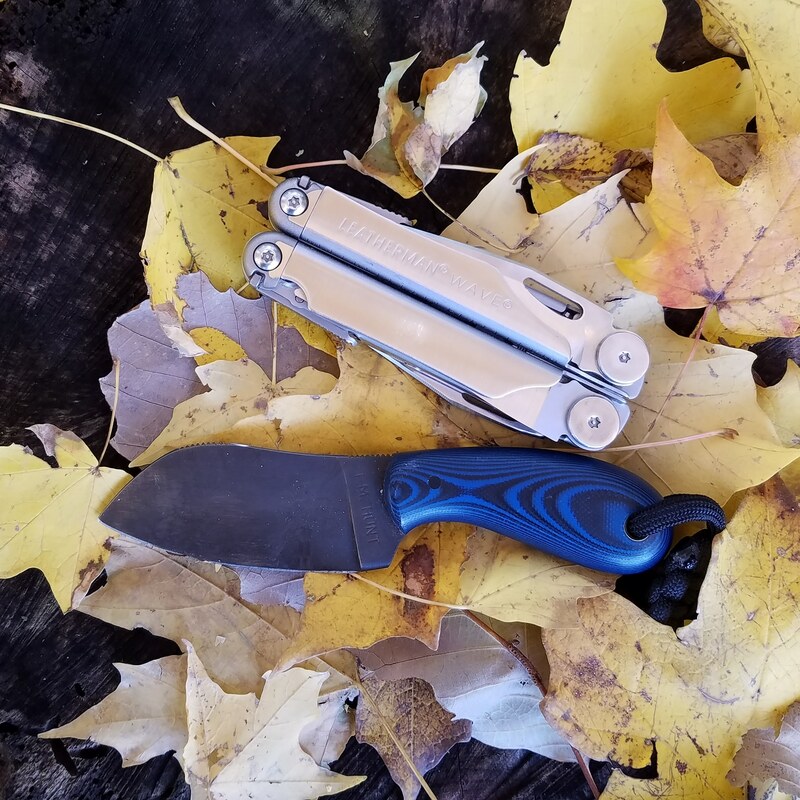 Hunt Blades - Lets See Them! Discussion in 'T.M. 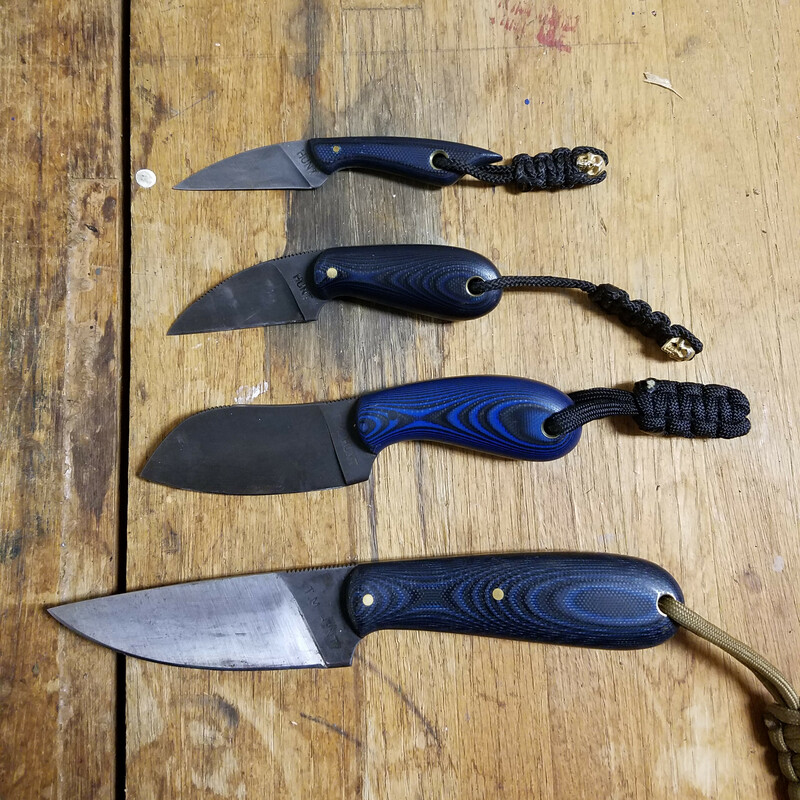 Hunt Custom Knives' started by Jerry D., Oct 26, 2018. 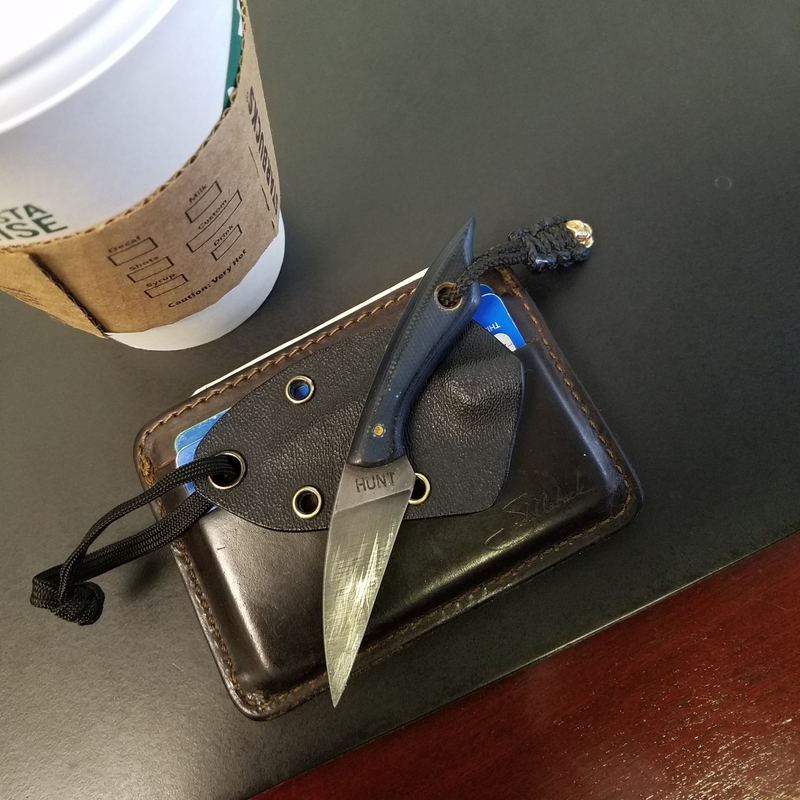 I know the M18 gets a lot of screen time as the obvious elephant in the room, but Todd has some great designs that work well for EDC including a few newer models that have been released since this sub-forum slowed down. Today, as I do most days, I have this mean little slicer. I affectionately call it The Wasp. Crappy shot, but hopefully it gets the ball rolling. Show 'em if you got 'em! jackal_727 and Bmurray like this. 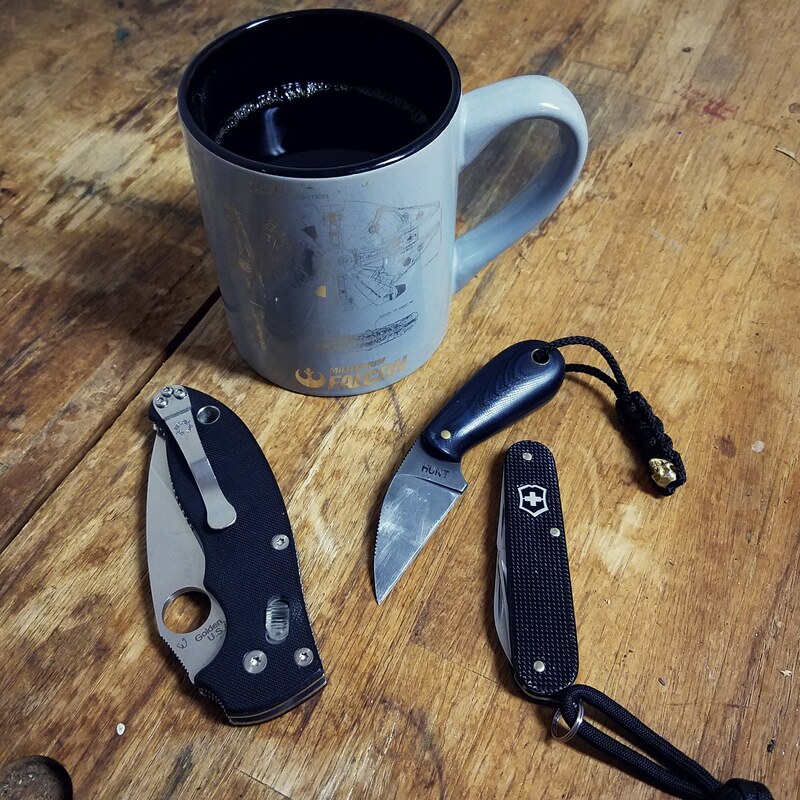 Here are my TM Hunt EDC's. They are also probably my most used TM Hunts. That poor skelemaug gets treated worse than a ugly redheaded step child, but hold up great! jackal_727, Bmurray, Mtblair and 1 other person like this. jackal_727, Mr. Tettnanger and knifejunkie1928 like this. I'm not giving up on this subforum just yet! 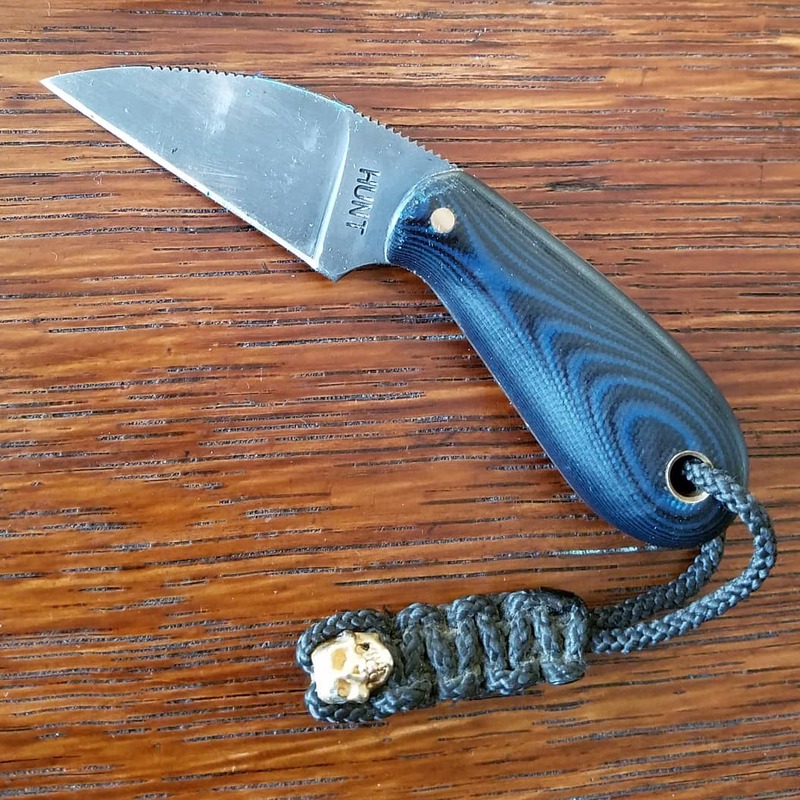 A good friend snagged this Hornet and had it sent my way for Christmas. It's been tagging along with me since and fits quite well in the line-up. knifejunkie1928 and jackal_727 like this. I'll play. First new blade of the year: Hedgehog in curly maple. Murphnuge, knifejunkie1928, jackal_727 and 2 others like this. Murphnuge, knifejunkie1928 and jackal_727 like this. Thanks, @Jerry D. . Hoping that a matching Magua in curly maple will be my second new blade of the year. When it is I'll post it up. Crimson Cloud, Don W, Murphnuge and 2 others like this. Is Todd still around ?